Venue: Source East Africa will be an outdoor event located in the beautiful gardens of the Mt. Meru Hotel at the foot of Mt. Meru, one of the highest mountains in Africa (4566m). Enjoy this unique setting and conduct your business in a relaxed atmosphere. 8.30am – 10am Breakfast forum for all exhibtors and trade visitors. Arusha is served by Kilimanjaro International Airport, located about 45 minutes from Arusha city. Several large airline companies maintain regular flight schedules to Kilimanjaro Airport including KLM, Qatar, Turkish and Kenya Airways. There will be a Source East Africa reception desk to meet and assist all registered visitors to the exhibition. Source East has partnered with several hotels that will ensure you find accommodation that is suited to your budget and taste. When making a reservation, quote the promotion code SEA16 for preferential rates. 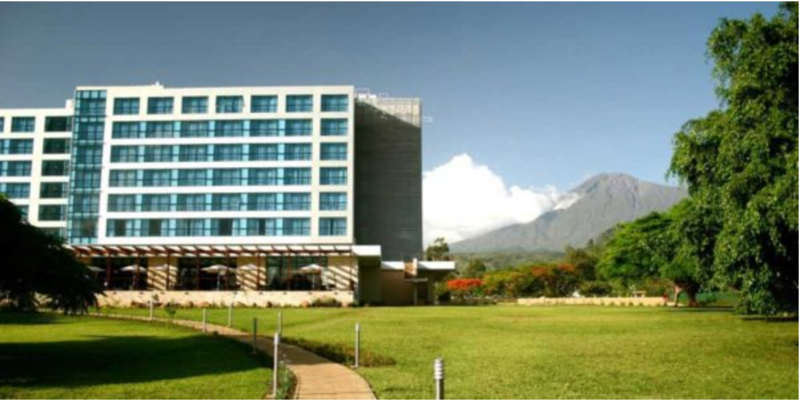 ​Situated at the foothills of Mount Meru in the city of Arusha, Tanzania, the Mount Meru Hotel lies on 9 acres of lush landscape, surrounded by some of Africa’s most breath-taking vistas, rich with a diverse array of wildlife, etched against the fertile slopes of this beautiful mountain. The Lodge Tellamande is situated in the vicinity of Arusha town, this exclusive boutique hotel, homely designed, easily accessible and convenient. Please check if you require a visa to enter Tanzania. Visas on arrival are available at all international airports and border crossings. However, this can take a lot of time. We therefore recommend you try to obtain your visa from an embassy or consultate in your home country of residence. For information on visa requirements, please visit the Tanzania Immigration Service. Yellow fever vaccination is required for all travelers from yellow fever endemic countries/regions. Please check with your travel health service for up to date informaton on recommended vacinations and prophylaxis. Have a bit of free time? Here is a list of top 10 things to do in Arusha.